The terms “Grosse Pointe” or “the Pointes” are ordinarily used to refer to the entire area, referencing all five individual communities, with a total population of about 46,000. The Grosse Pointes altogether are 10.4 square miles, bordered by Detroit on the south and west, Lake St. Clair on the east and south, Harper Woods on the west of some portions, and St. Clair Shores on the north. The cities are in eastern Wayne County, except for a very small section in Macomb County. The Pointes begin six miles (10 km) northeast of downtown Detroit and extend several miles northeastward, in a narrow swath of land, to the edge of Wayne County. The name “Grosse Pointe” derives from the size of the area, and its projection into Lake St. Clair. Located on the coast of Lake St. Clair, Grosse Pointe is a suburban area in Metro Detroit, sharing a border with northeast Detroit’s historic neighborhoods. Grosse Pointe has many famous historic estates along with remodeled homes and newer construction. 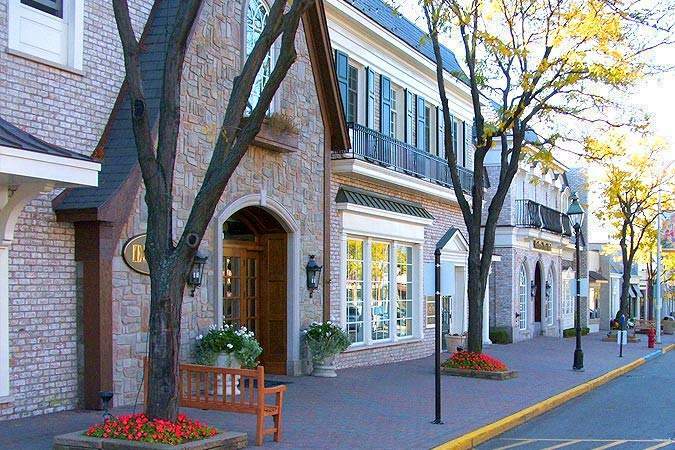 Downtown Grosse Pointe, along Kercheval Avenue from Neff to Cadieux, nicknamed “The Village,” serves as a central business district for all five of the Grosse Pointes, although each of them (except Grosse Pointe Shores) has several blocks of retail. Downtown Detroit is just over seven miles (11 km) west of this downtown area, accessed by Jefferson Avenue, or several other cross-streets.